The title of this blog is inspired by Robert M. Pirsig’s famous and partly autobiographical novel Zen and the Art of Motorcycle Maintenance: An Inquiry into Value. Persig describes in the book that he wrote in 1974 the 17-day journey he made on a motorcycle from Minnesota to Northern California along with his son Chris. He makes the journey with a friendly motorbike couple. 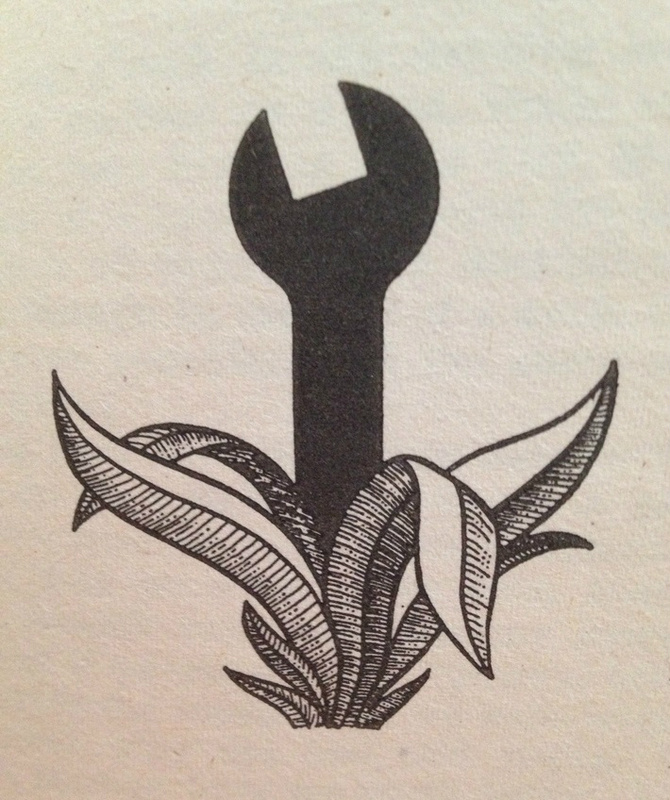 In contrast with his friends, Pirsig (the narrator) likes to do the repairs on his old motorbike himself, an occupation that brings peace in his mind, a ‘Zen’ like meditative state. In his mind the machine that appears to be "out there" and the person that appears to be "in here" are not two separate things, but bound together in harmony. ‘The motorcycle is a mental phenomenon’ is one of his quotations: it is not a heap of metal but a man-made cleverly designed machine. And a machine also needs constant attention and monitoring. When they enter the mountains in Montana, Pirsig notes that both spark plugs are black, confirming a rich mixture. He recognizes that the higher altitude is causing the engine to run rich. The narrator rectifies this by installing new jets with the valves adjusted, and the engine runs well. Zen is originally a Buddhist form of meditation in which the meditator strives to be aware of the stream of thoughts, allowing them to arise and pass away without interference. In the modern World it is typically one of the spiritualistic practices people use to avoid stress and achieve inner peace of mind. Most spiritual people are not technically minded. They often cannot see the beauty of a clever technical design. They might even consider technology, and the "dehumanized world" it carries with it as ugly and repulsive. Pirsig however is capable of seeing the beauty of technology and feels good about mechanical work, where the goal is "to achieve an inner peace of mind". For some people motorcycle maintenance may be dull and tedious drudgery, for others an enjoyable and pleasurable pastime. This brings me to the world of underwater photographers which –in my view- also has two sides, the spiritual and technical side. One of the reasons why we like get into the sea is to sink in that mysterious blue world to photograph the beauty that unfolds underwater. Drifting along the coral reef stimulates our sense of beauty and hence brings harmony into our souls. The other side of UW photography is more practical: it involves maintenance of the technical stuff, the camera and underwater housing. Not a motorcycle, but still clever technology. Here the sea and environment is not a friend but rather an enemy. The housing needs careful surveillance and care because salt, sun, dirt, neglect, inproper storage or repair may damage its parts and make it function less smoothly, or -even more disastrous- leak. Which certainly will screw up your peace of mind. For example, forgetting to put in an O-ring will most certainly lead to what Pirsig calls a gumption trap. Gumption is our ‘reservoir of good spirits’ which, when it is lost as a result of an error or other set-back may spoil your entire diving holiday. And you don't want that to happen. So good maintenance of your gear and running down the checklist before a dive are necessary and often pleasant routines to follow. By all means it should never be done in a hurry, but in a focused and relaxed state of mind. The vacuum test at the end is just to make sure that you don't have to worry too much about the greatest enemy of your housing, salt water. All these rituals serve to bring together the spiritual and technical world and thus to create ZEN: a state of harmony in our souls.